​The combined populations of the Northern Ireland and the Republic of Ireland total about 6.5 million people. The 2016 Republic of Ireland census reported that 73,803 people speak the Irish language daily outside the education system. This figure includes 20,586 people who speak it every day in the Gaeltacht outside the education system. An additional 57,375 people speak Irish in Northern Ireland. So, about 20% of the population of all Ireland speaks a Celtic language. 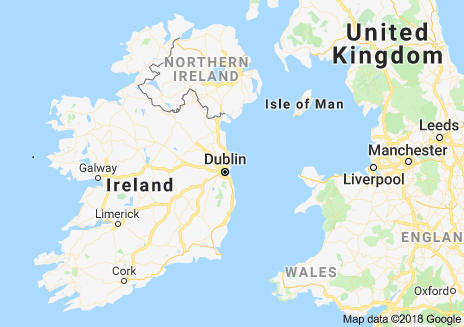 The land area of the Island of Ireland is roughly equivalent to that of South Carolina. The combined population of Norther Ireland and the Republic of Ireland is about the same as that of Indiana. Ireland and Scotland lead the "PR" of Celtic Nations. When most people think of Celtic music they think of Irish and Scottish music. That's likely due to the large diaspora of each country. Strong Irish and Scottish identities flourish in the USA, Canada, Australia and Argentina. As the pub song goes... "Where ever you go you always find an Irish Pub". Several important dates anchor Irish traditional music. The first one is February 7, 1603. On that day Queen Elizabeth I ordered Lord Barrymore (Lord President of Munster, Ireland) "to hang the harpers wherever found, and destroy their instruments". Overnight revered harpers of Ireland went from being bards of Gaelic Irish life to criminals subject to immediate capital punishment. In his preface to Irish Minstrels and Musicians, Captain Francis O'Neill states that Elizabeth's decree was the major factor in his work of collecting Irish music. Much controversial history surrounds Elizabeth's decree. She died less than two months after issuing this deadly decree. Elizabeth's intentions (or those of her ministers) are worth exploration, but that's beyond the scope of this course. Suffice it to say that Elizabeth's order resulted in a sudden and catastrophic decline of music in Ireland. In fact, only two known Irish harps exist that can be dated prior to 1603. As and act of supression, Elizabeth's decree can be considered highly successful. The situation improved under the Monarchy of James I (he was king of Scotland where dance an bagpipes were popular). But, matters deteriorated again during the English Civil War and the ascendancy of Oliver Cromwell. It is not possible to untangle Irish traditional music from the politics of either Irish or Britain.. The second date is July 11-14, 1792. Dr. James McDonnell, Robert Bradshaw and Henry Joy organized The Belfast Harpers Assembly in order to bring together the last living traditional harpers. The objectives were to allow players to compete for prizes, to preserve and notate the music of the dying tradition of the Irish harp. Ten Irish harpers and one Welsh harper participated. Participants ranged in age from fifteen to ninety- six years. All but one was over forty-five years old. The three winners were each awarded a yearly stipend of £10 . Forty tunes were played during the Assembly. The organizers employed nineteen-year-old Edward Bunting to transcribe those forty tunes. After the Assembly concluded Bunting visited each participant to collect all the available contemporary harp music. His work was published in three collections dating from 1796 to 1840. The third date is a period of time spanning 1903 - 1922. During this period Chief James O'Neill of the Chicago Police Department publish multiple volumes of traditional Irish music. O'Neill is considered one of the two greatest collectors of Irish traditional music during the 20th century. Read about his highly influential collections at this link. The other great collector of Irish Traditional music during the 20th century was Brendan Breathnach Read about his, largely unpublished collection at this link. A central figure in the contemporary popularity of Celtic music is Seán Ó Riada. He was an Irish composer and arranger of Irish music. His blending of the traditional with the modern marks the beginning of the sound that today is known as "Celtic music". A straight, unbroken line can be traced from Seán Ó Riada’s work during the two decades of 1950 – 1970 to Planxty, Sweeny's Men, Battlefield Band, Dervish, River Dance, Celtic Women, High Kings and virtually every Celtic music ensemble playing today. Seán Ó Riada’s died in 1971. But his vision of Celtic music lives on. Students of Irish traditional music should know about the famed harper and composer Turlough O'Carolan. Click here to learn more about four Irish musical innovations that define Celtic music: bodhran, low whistle, slip jig, and uilleann pipes. The flags of Ireland are a complex and politically charged matter. Four flags contend to be the flag of Ireland. The Republic of Ireland flies the Tricolor (Green White and Gold) Northern Ireland officially flies the British Union Jack. The Unionists of Northern Ireland embrace the Ulster Banner with the cross, crown and raised hand. That flag lost its official status in 1979 when parliament was dissolved. But, the Ulster Banner remains the flag claimed by many in Northern Ireland. St. Patrick's Cross is the flag flown during ceremonies in Northern Ireland. Be aware that which flag properly represents Northern Ireland can be a touchy subject for some. Tread lightly. The Irish tunes below are presented in both standard notation and ABC notation. Click on the audio players to hear the tunes. If you want to download an mp3 file of a tune to study it in greater depth, go to the tune download page. Click Here​ for some background on "The greatest individual influence on the evolution of Irish traditional dance music in the twentieth century".